The Tag is a label that you stick on a file. 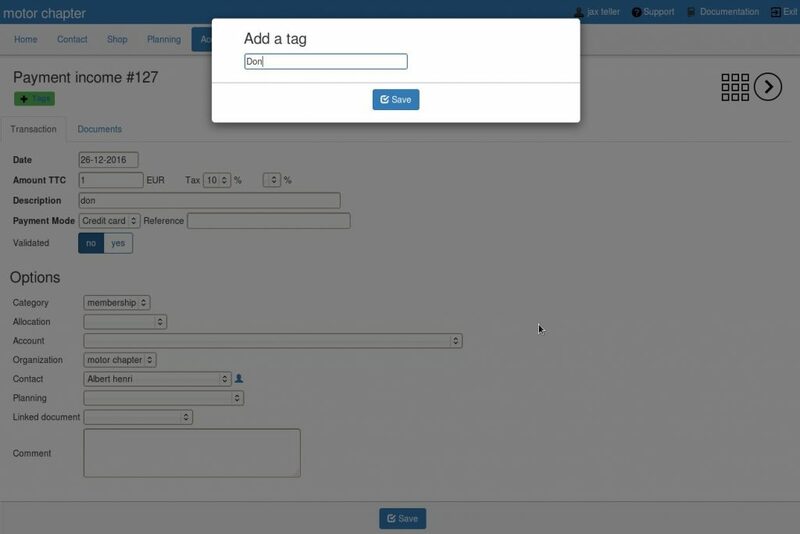 Kananas software allows you to put tag on your accounting movements. This will make it possible to identify an income or an expense in which you have found a problem ( check returned for example), or identify the checks you just deposited in the bank. You can define as many tags as you want : use the ” + tag” button in the header of the income or the expense . You can then do research on these values using the selection field in the journal of the Finacial part. Note that if you specify multiple tags in your selection criteria , only those files with all these tags will be displayed. To help you, there is a selection assistance ( magnifying glass icon) that shows you the tags found in your accounting movements.